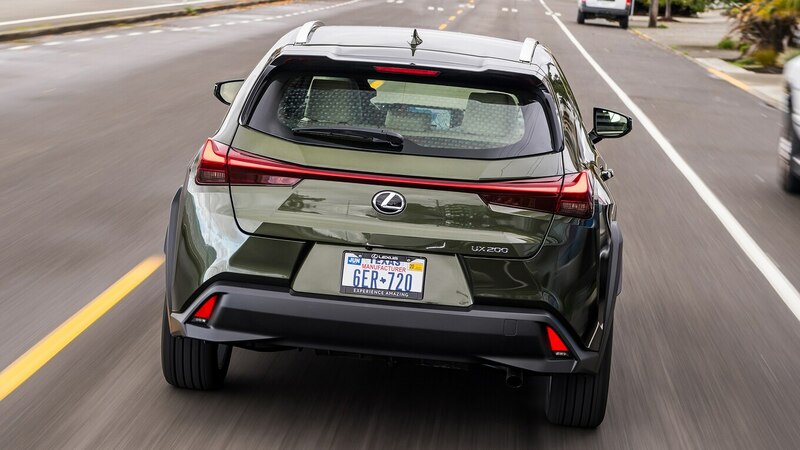 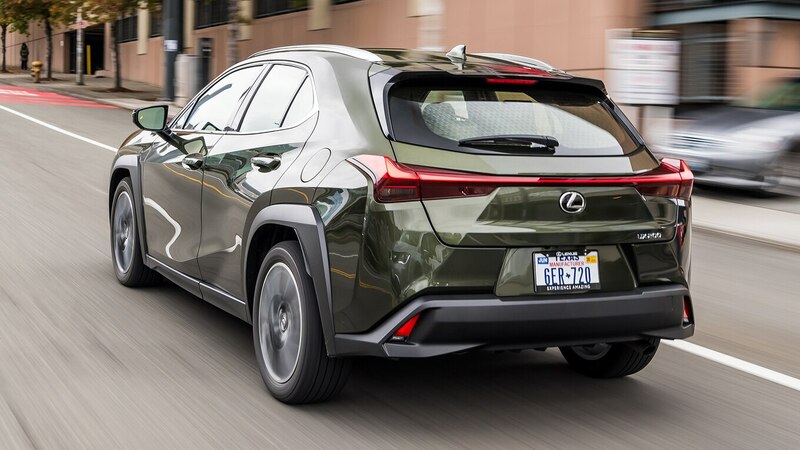 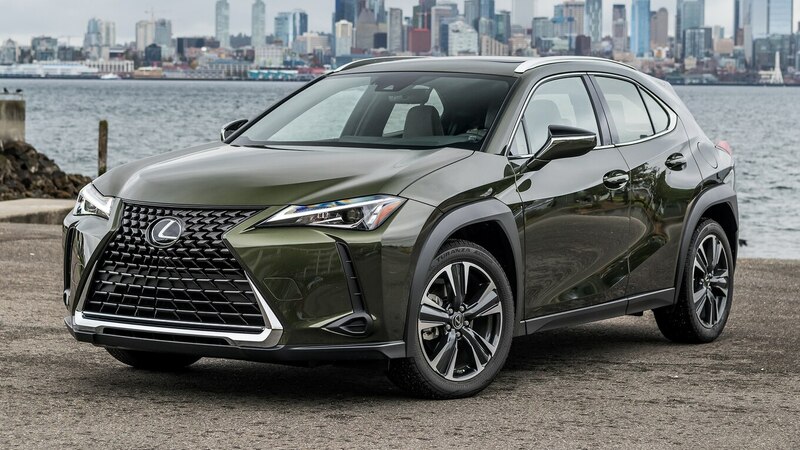 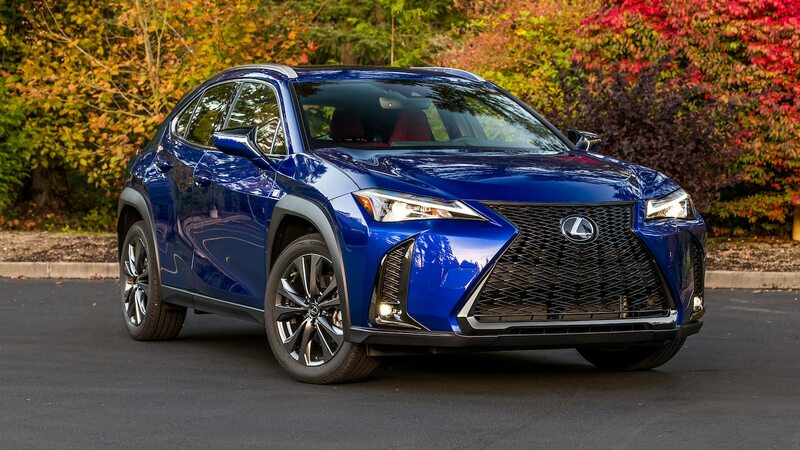 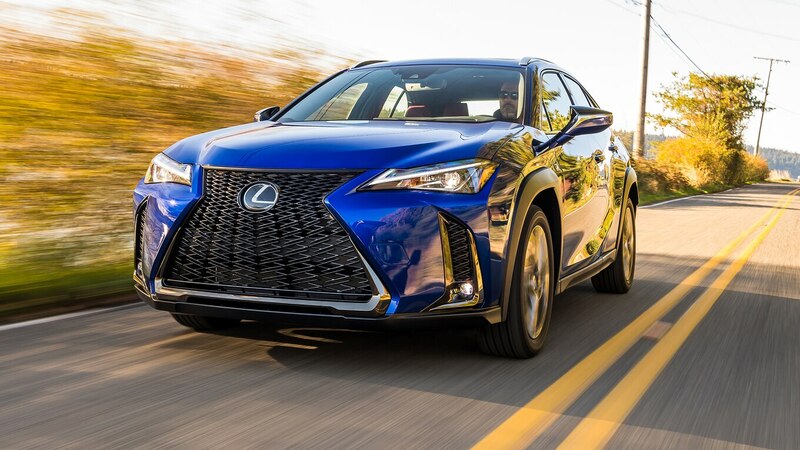 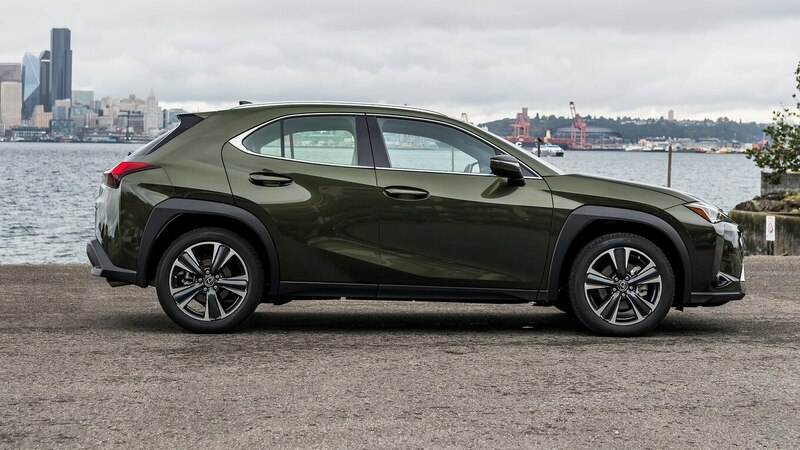 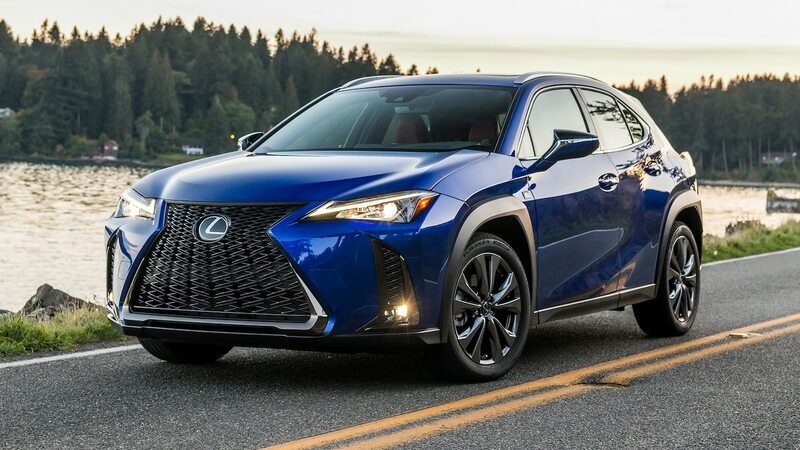 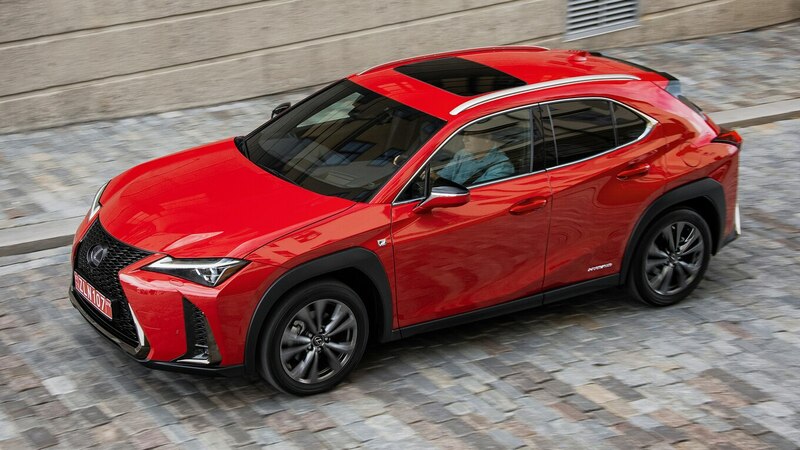 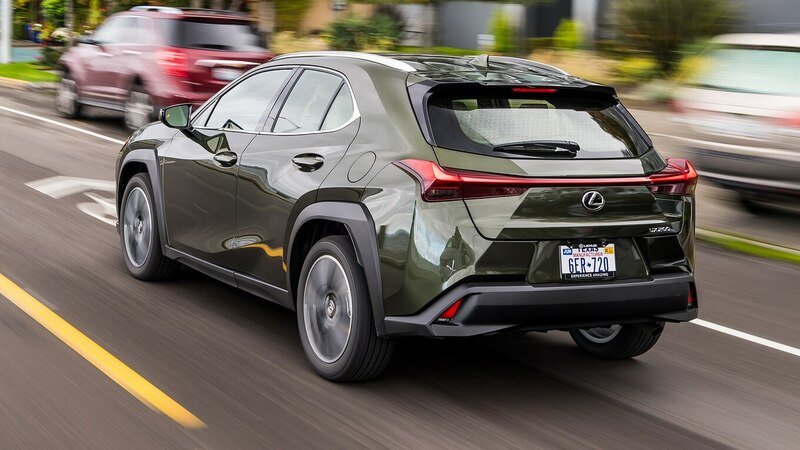 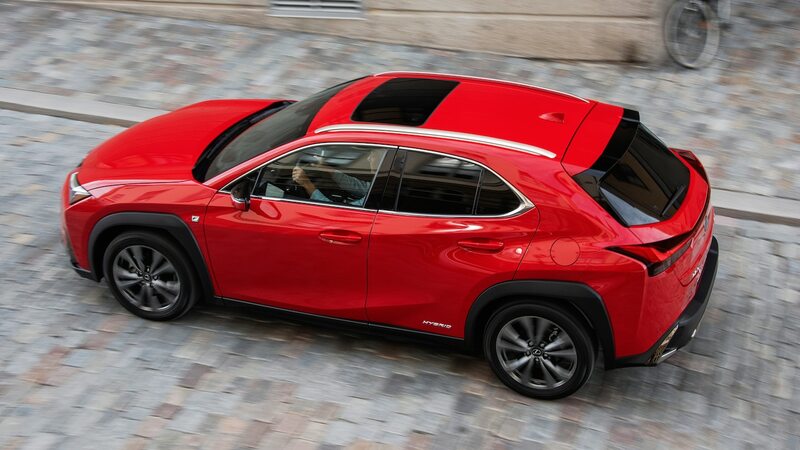 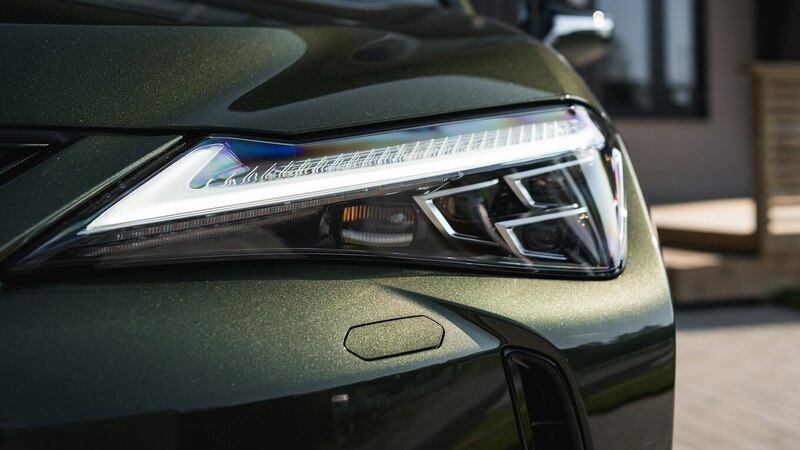 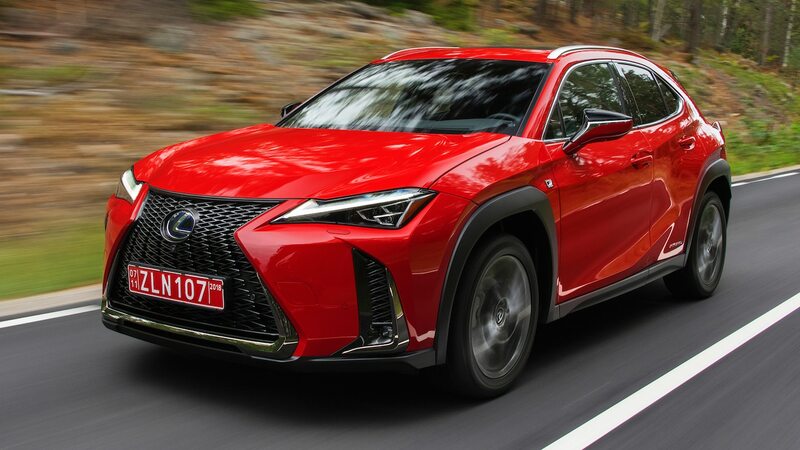 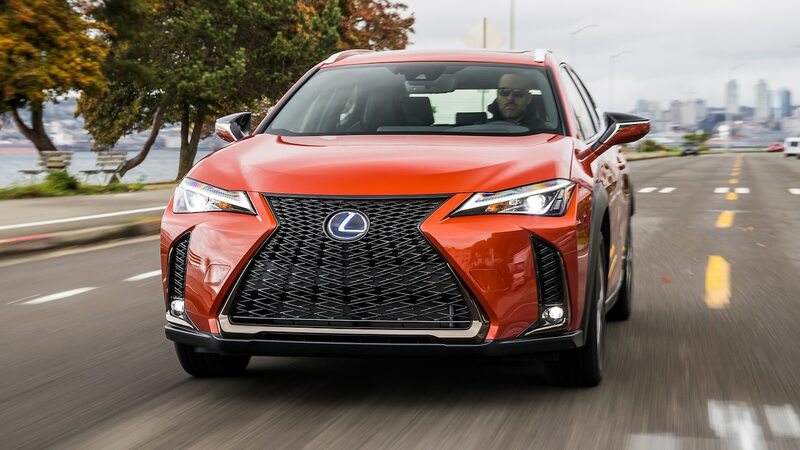 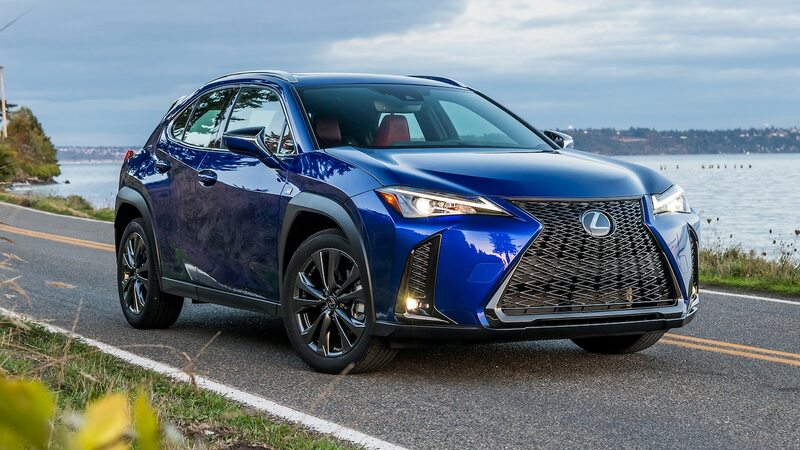 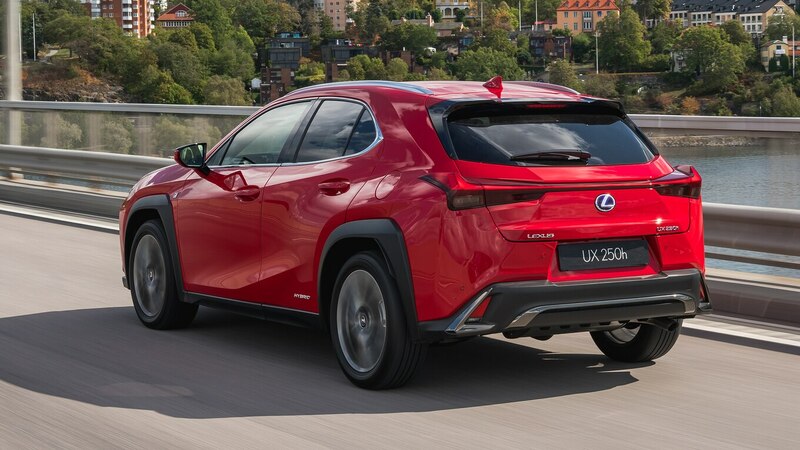 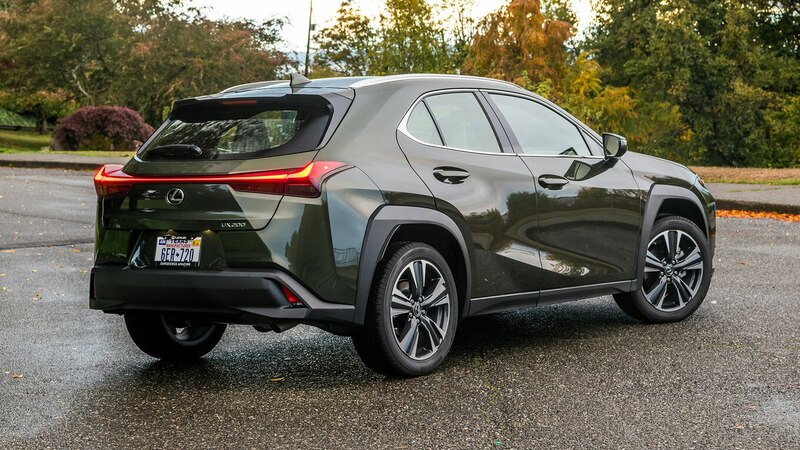 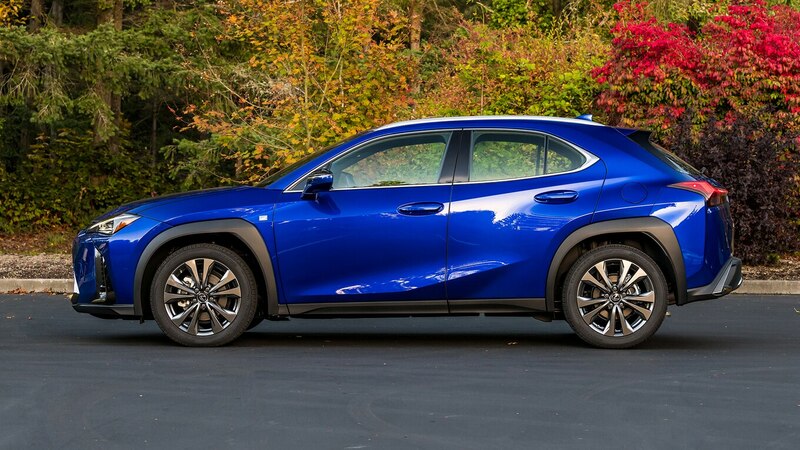 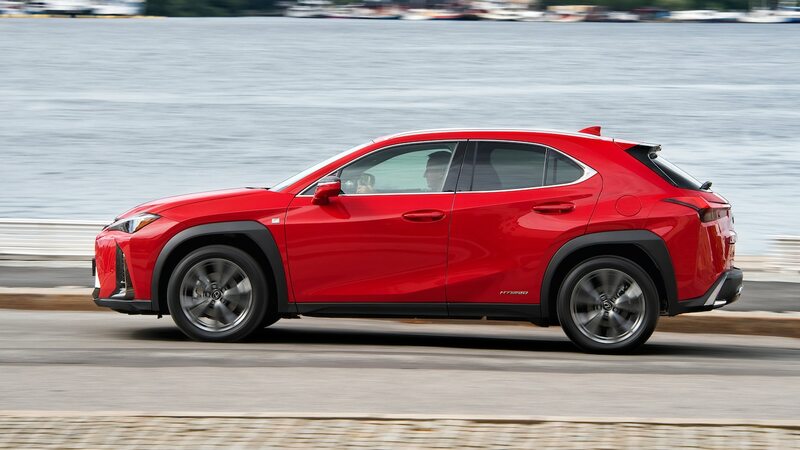 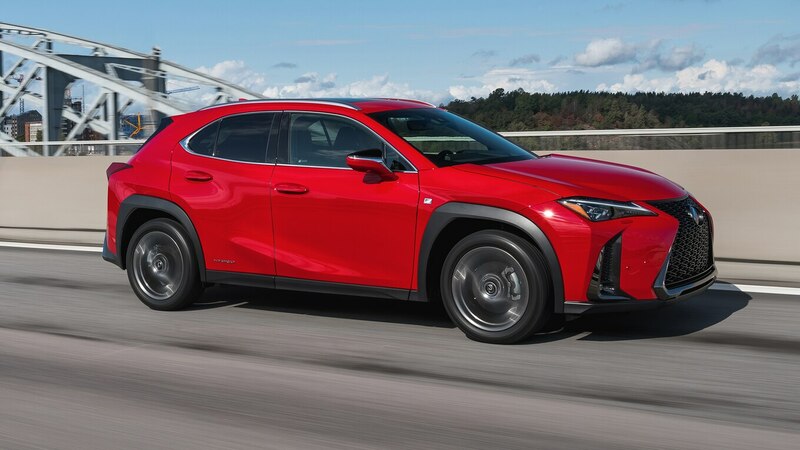 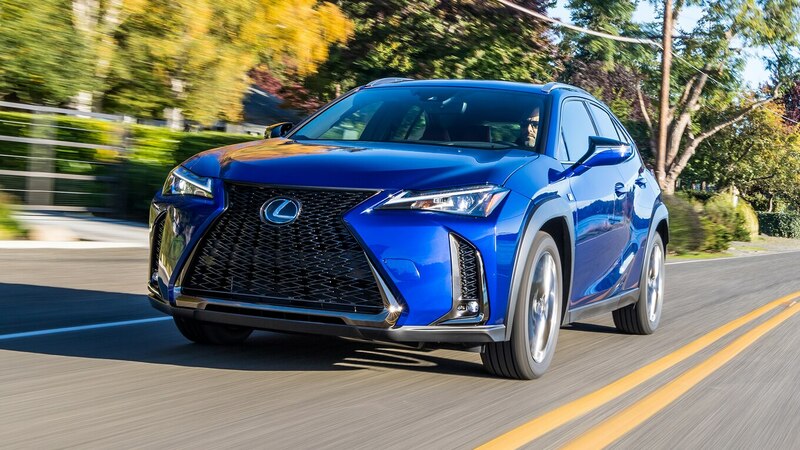 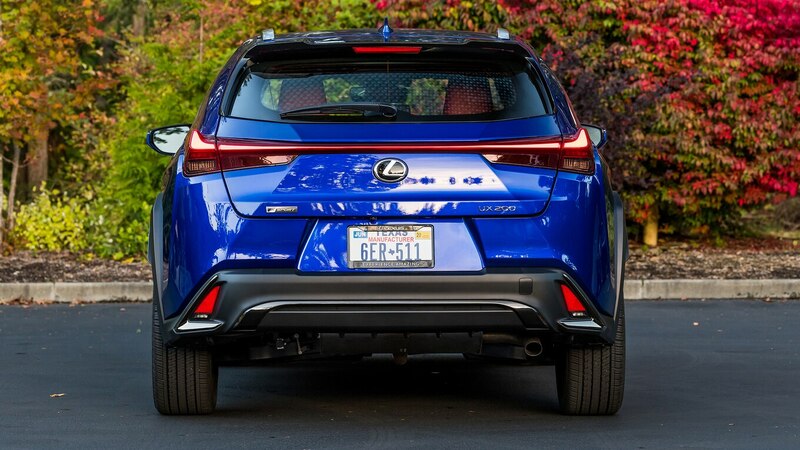 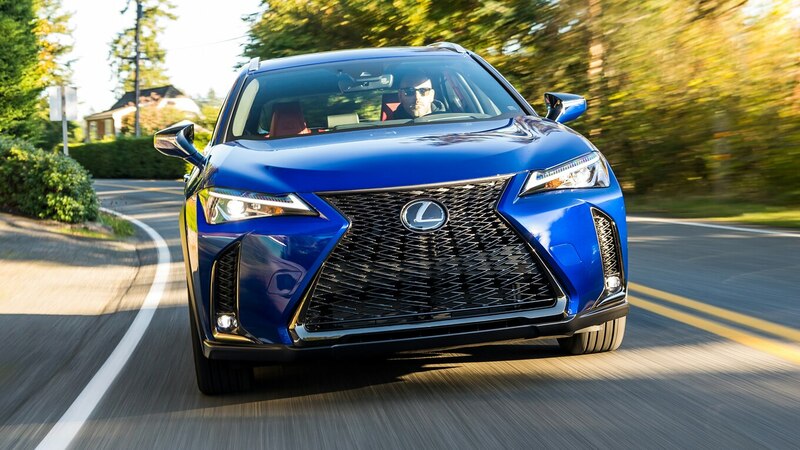 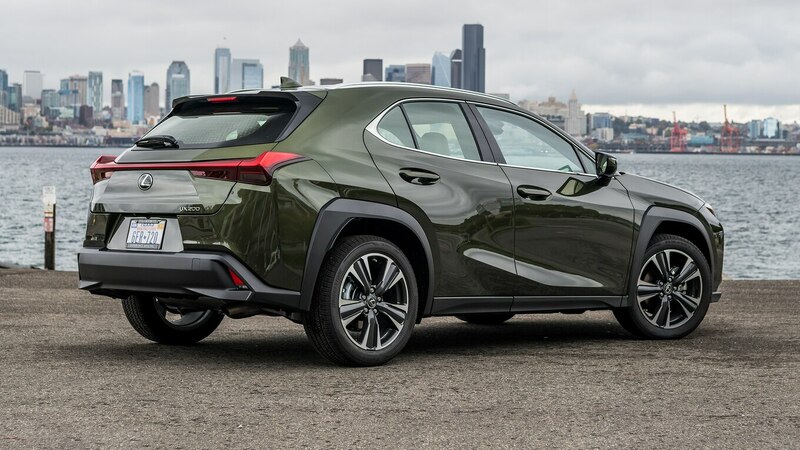 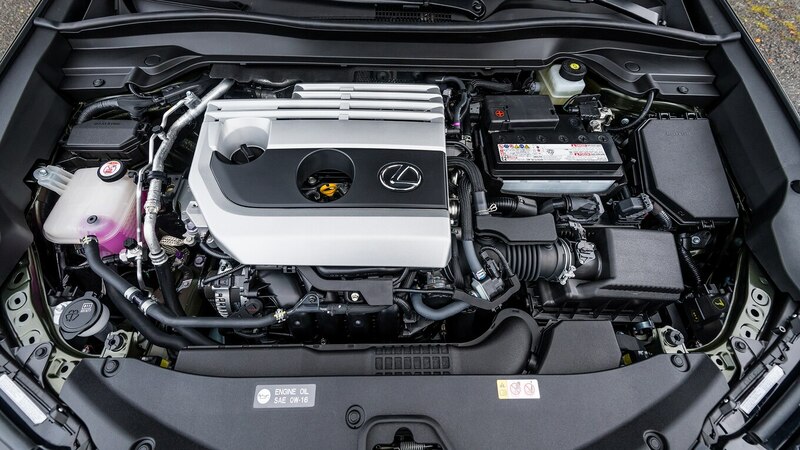 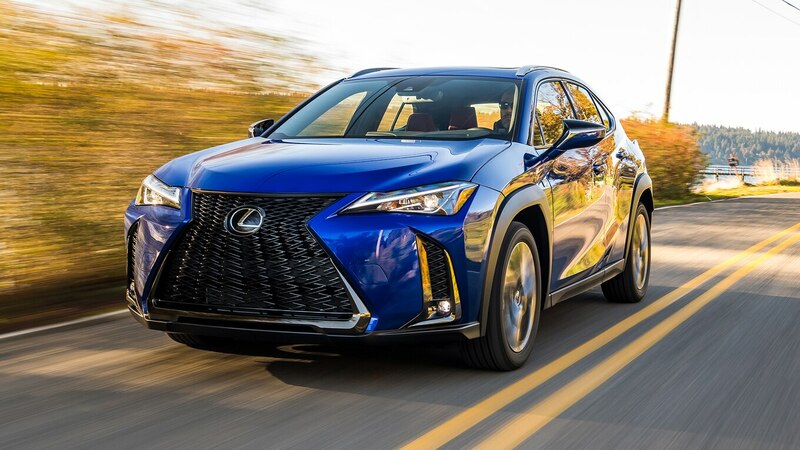 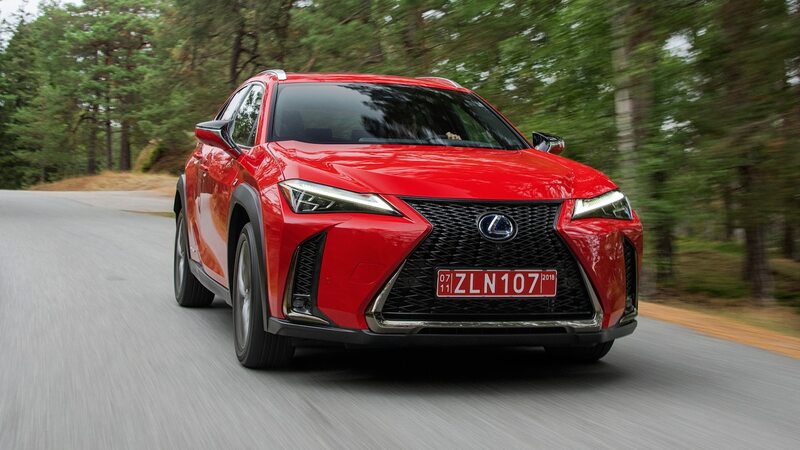 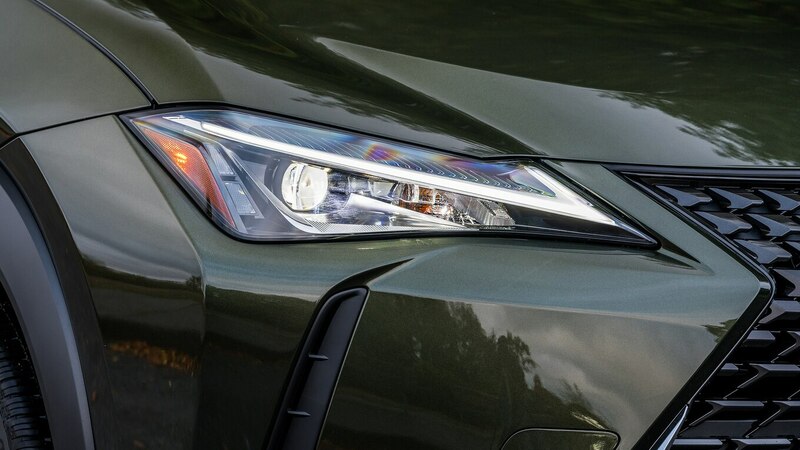 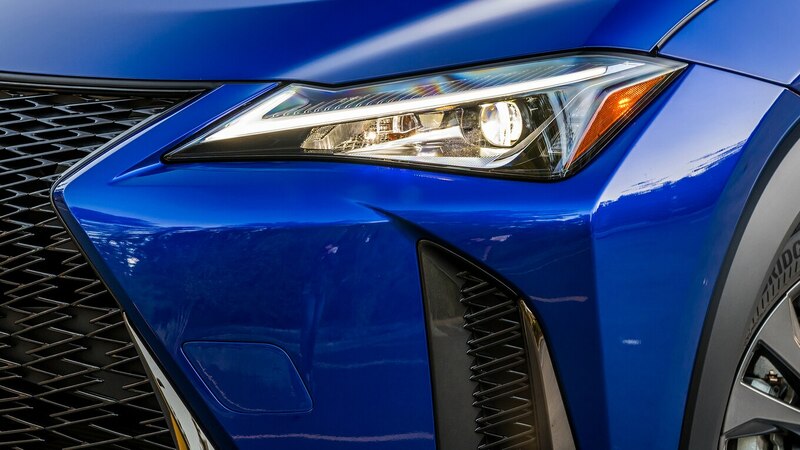 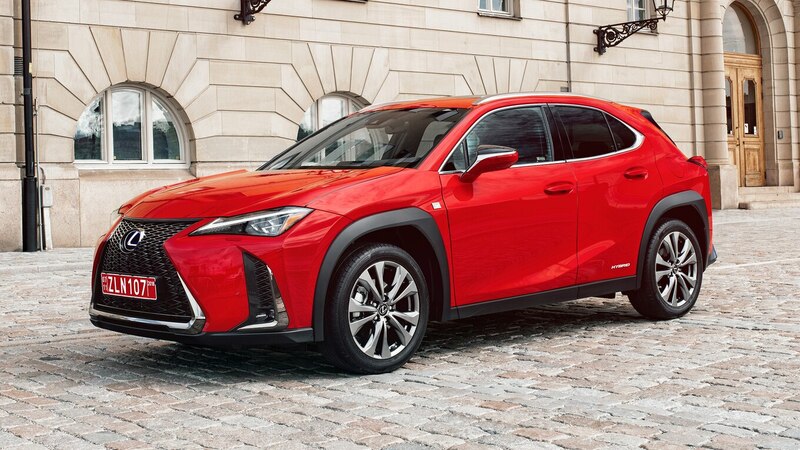 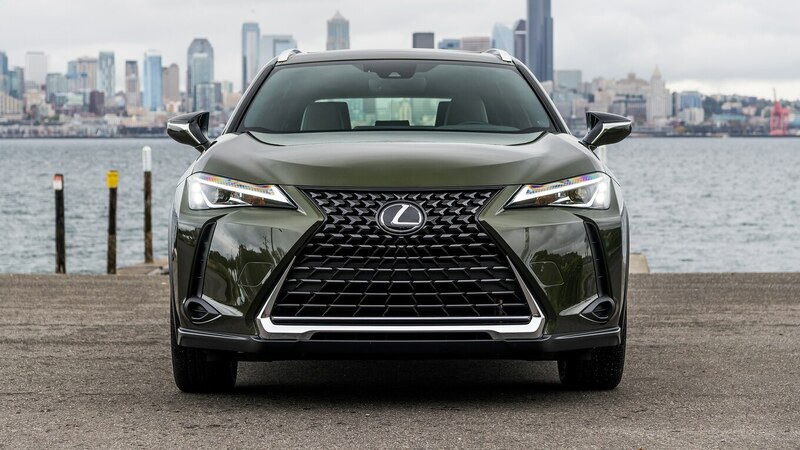 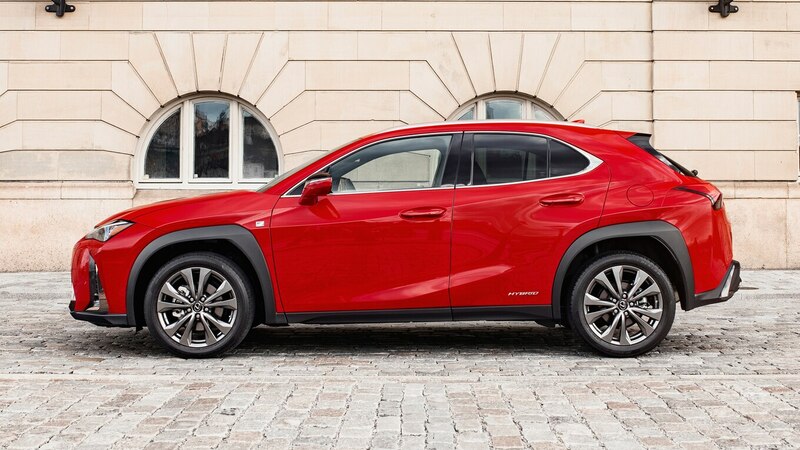 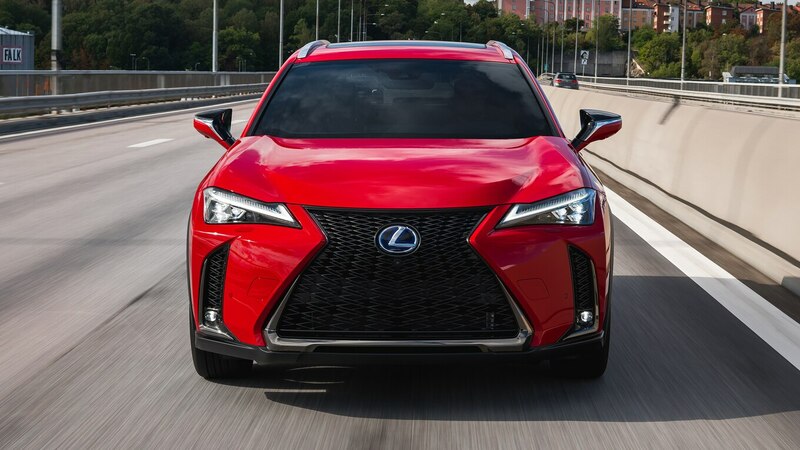 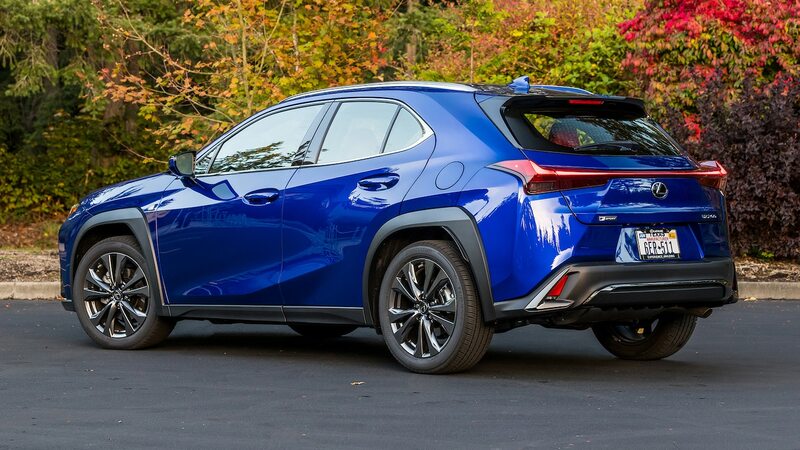 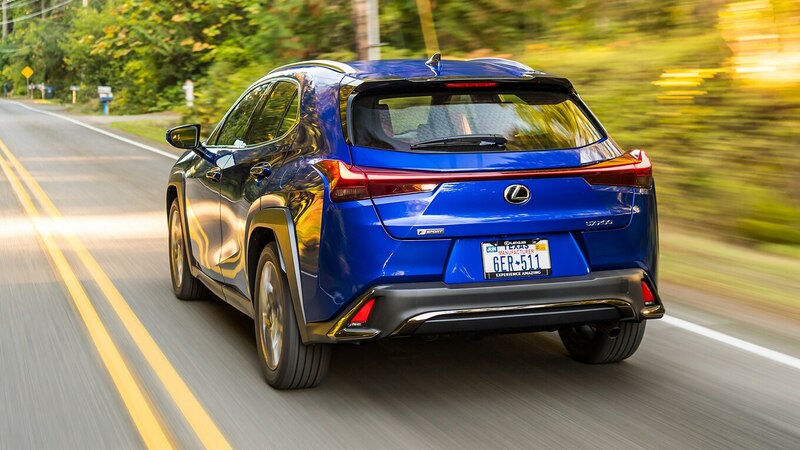 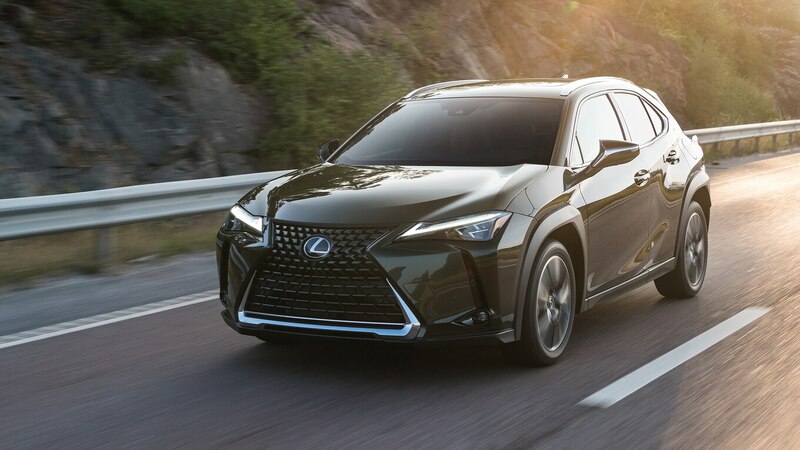 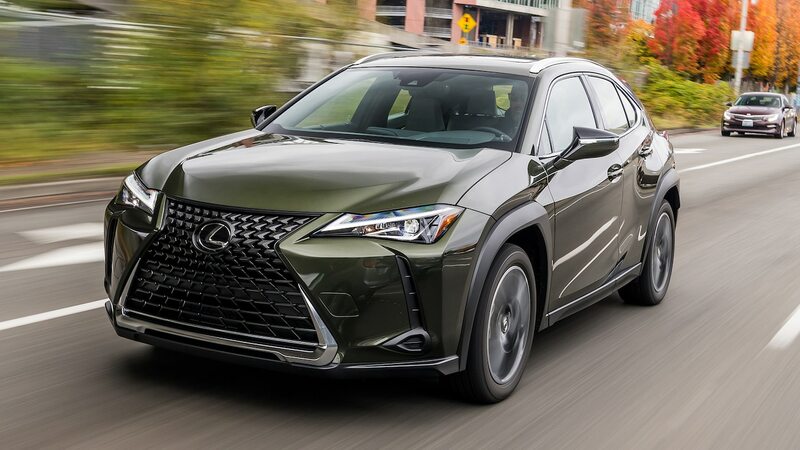 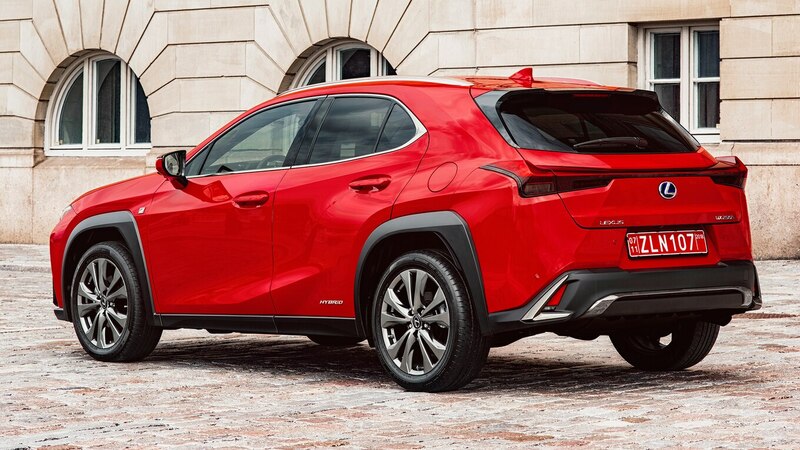 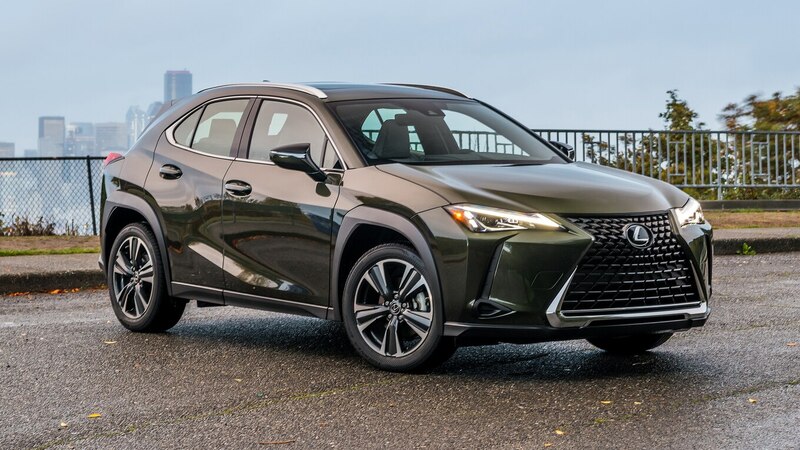 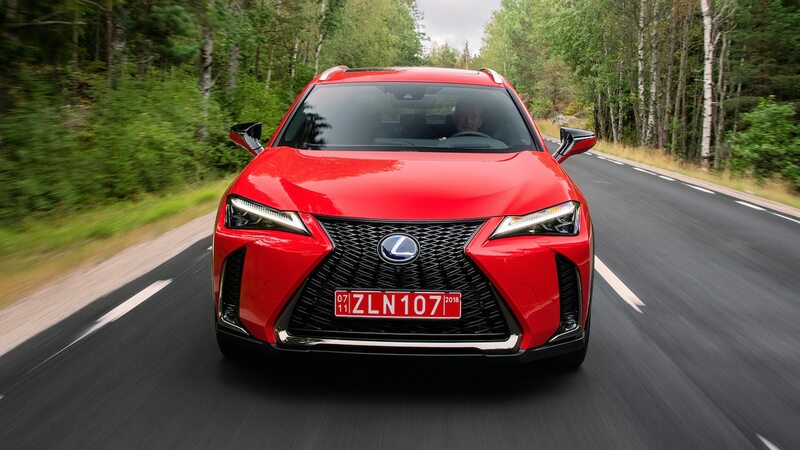 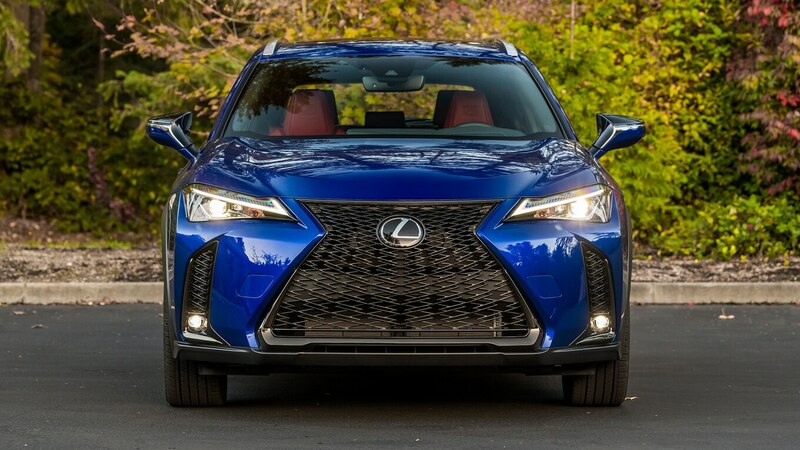 Set your gaze upon the 2019 Lexus UX, and its looks will shock you. 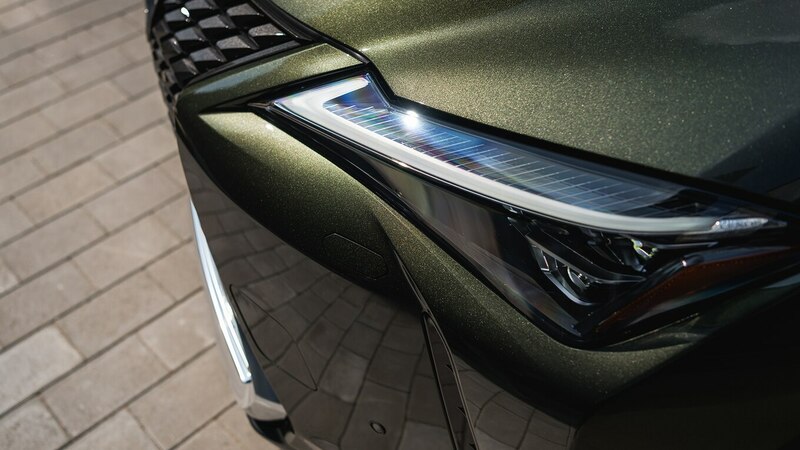 The avant-garde exterior screams for attention regardless of color. 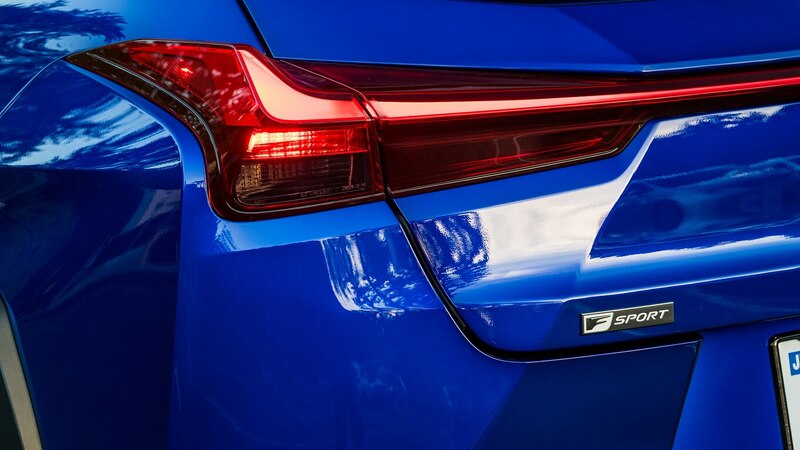 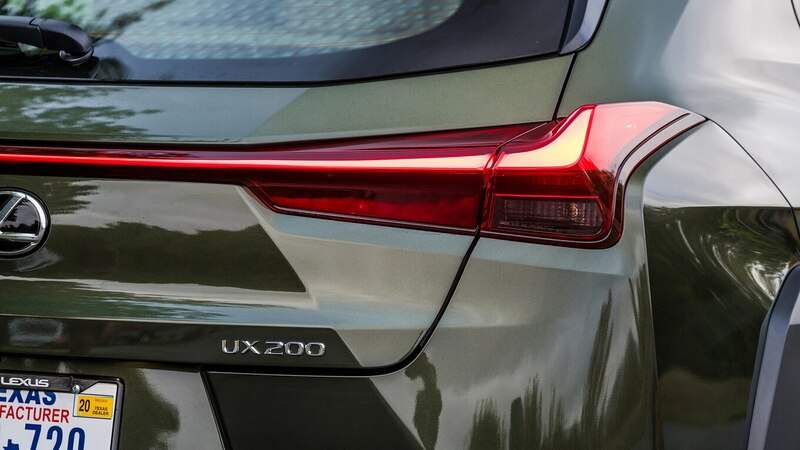 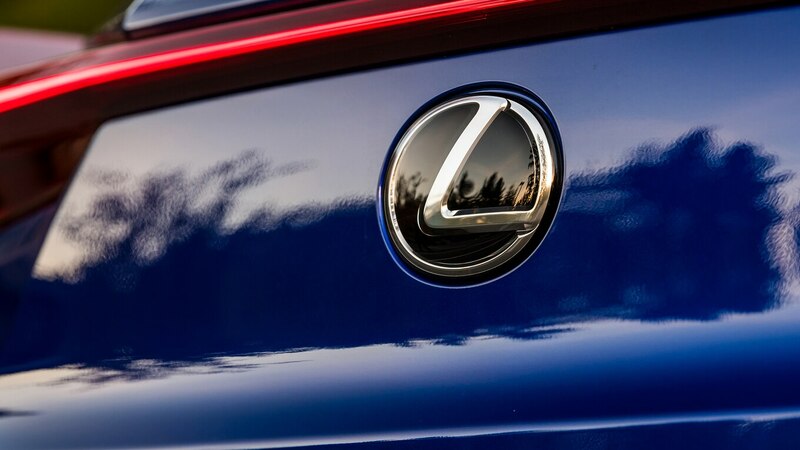 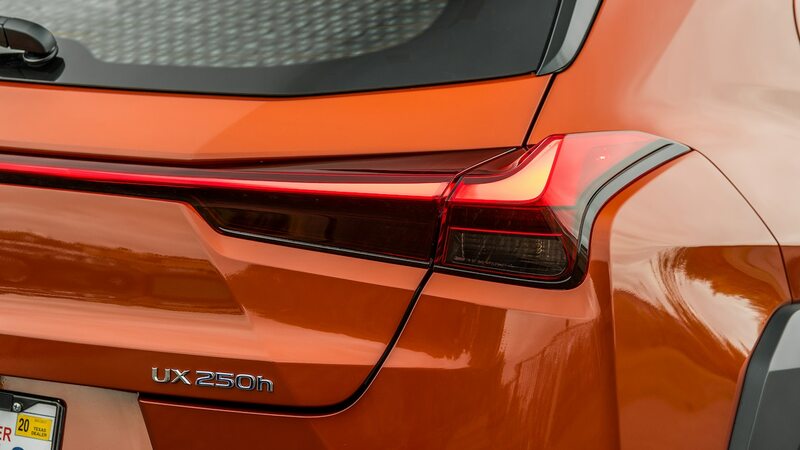 Details like the taillight fins and the massive spindle grille give the UX extra cool factor. 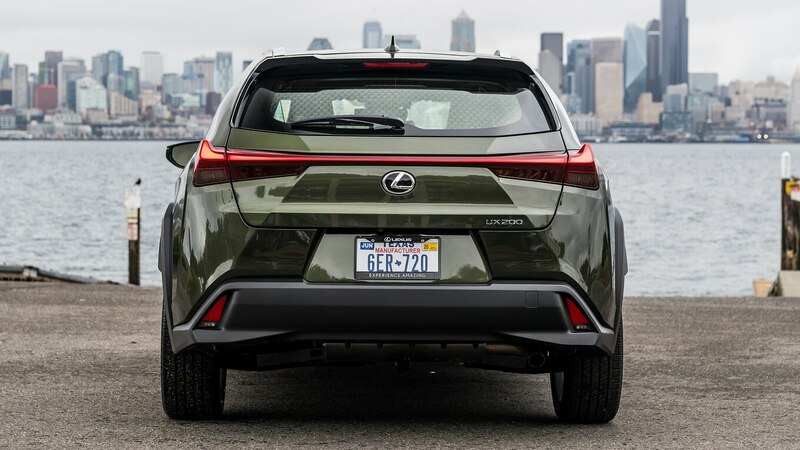 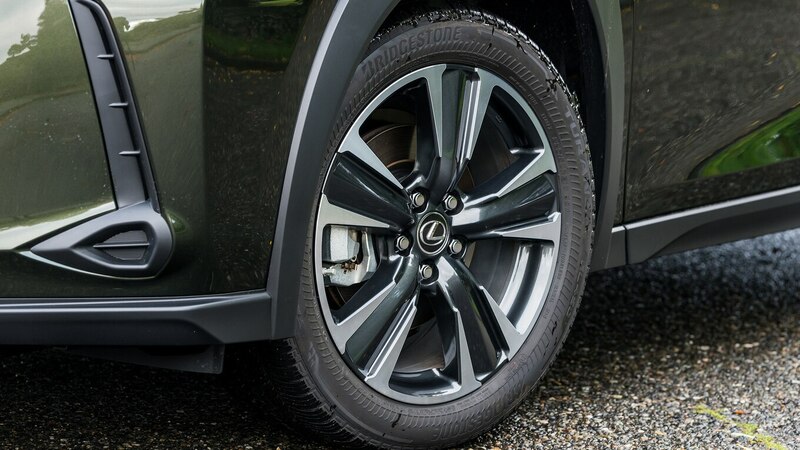 Jump inside, and you’ll find even more touches that allow Lexus’ smallest utility vehicle to stand out in an increasingly crowded segment. 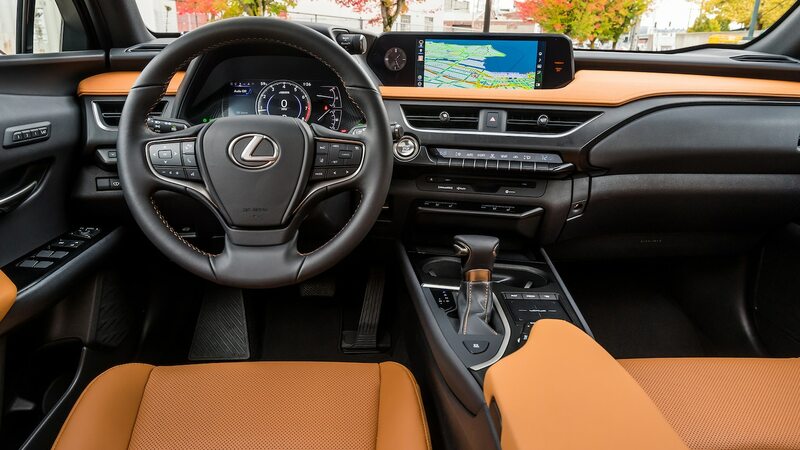 One of the 2019 Lexus UX’s most useful features is the screen orientation. 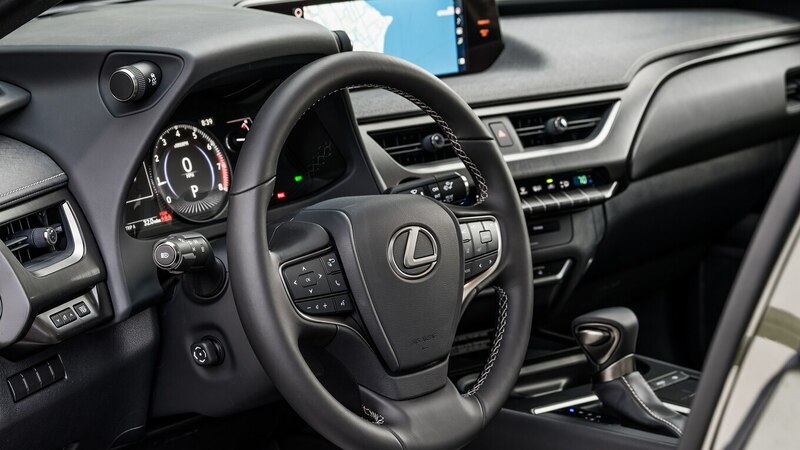 Turning the screen ever so slightly toward the driver puts it right in your field of view, minimizing the need to take your eyes off the road. 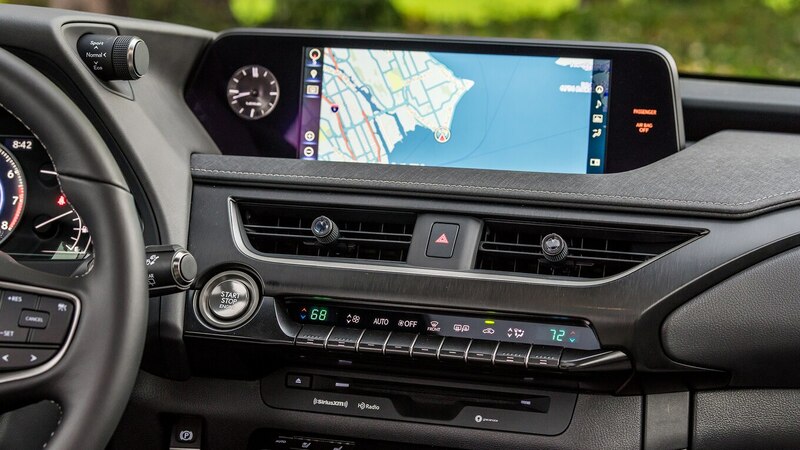 Replacing the analog gauges is a 7.0-inch digital display that shows everything from your trip computer to the energy flow of the UX 250h’s hybrid powertrain. 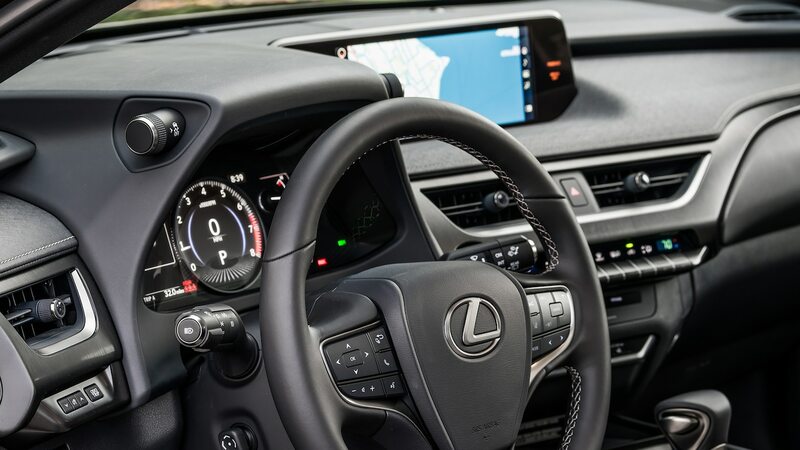 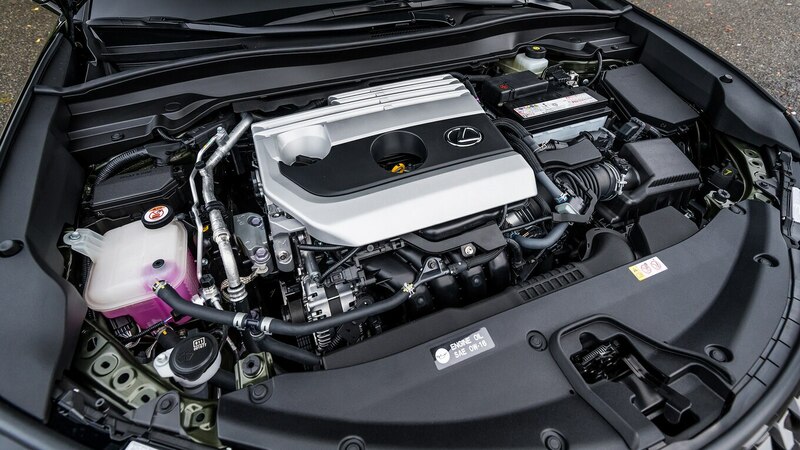 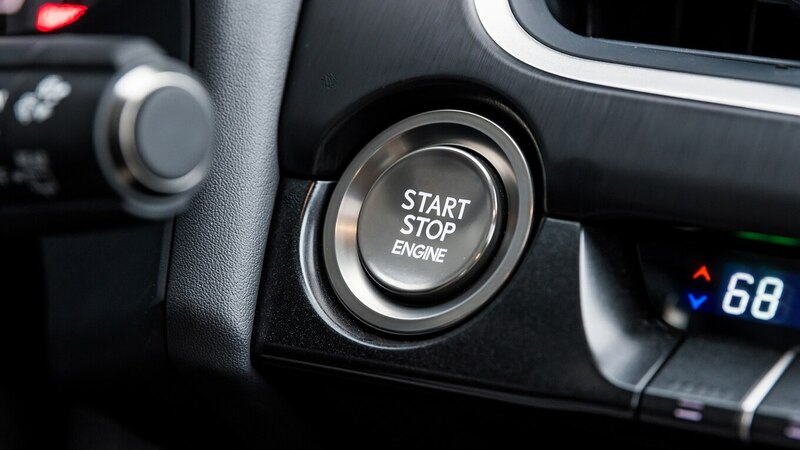 F Sport models get a larger 8.0-inch unit with a moving dial that changes the information shown based on the selected drive mode. 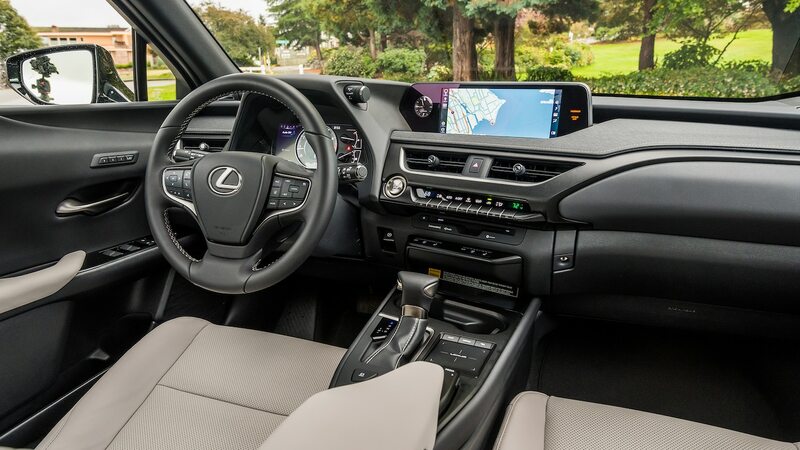 One look at the Lexus UX’s interior design reveals the emphasis on keeping everything as clean as possible. 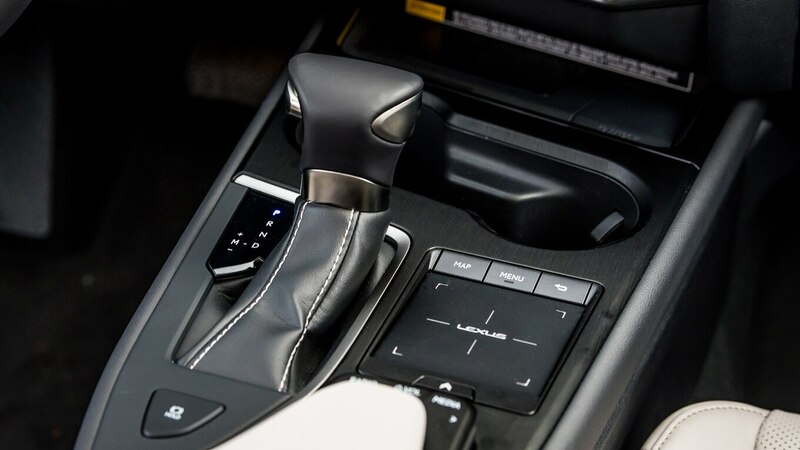 The center stack, for example, only has a few buttons and toggles that blend neatly with the horizontal dash theme. 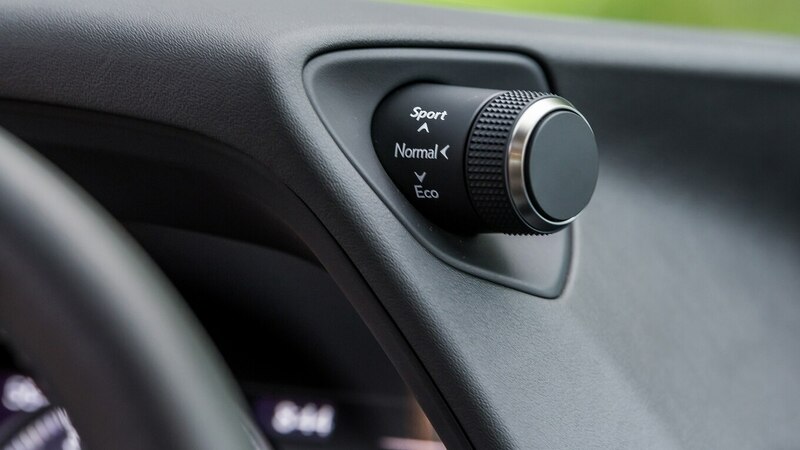 Looking for volume and tuning knobs? 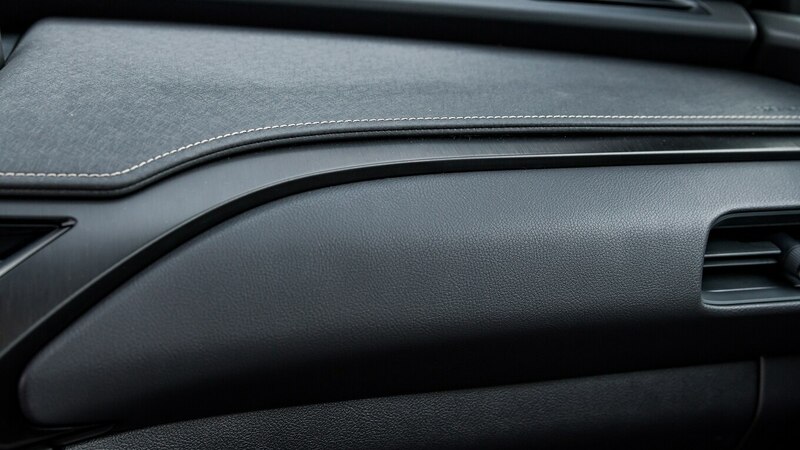 They’ve been turned to sliders positioned at the base of the center armrest. 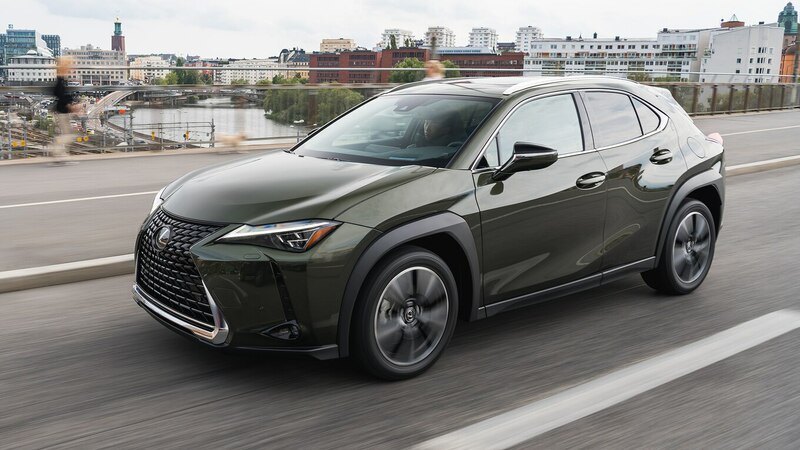 Whatever you do when you purchase your Lexus UX, consider giving it extra character with the available two- and three-tone interiors. 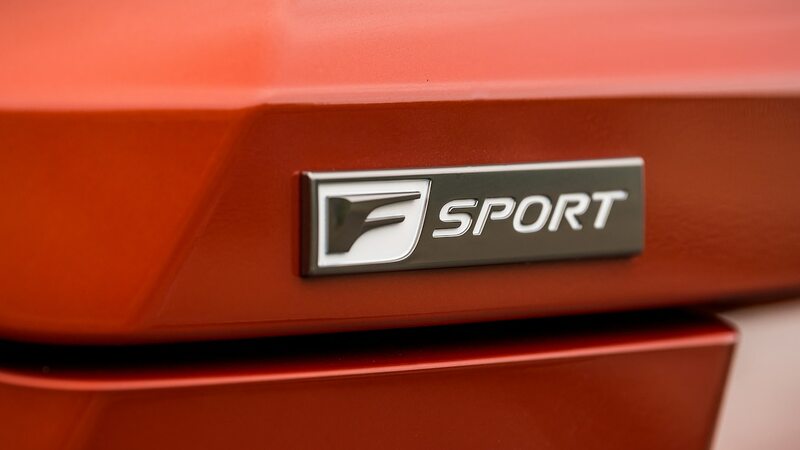 F Sport models can be had with a striking vibrant red and black combo. 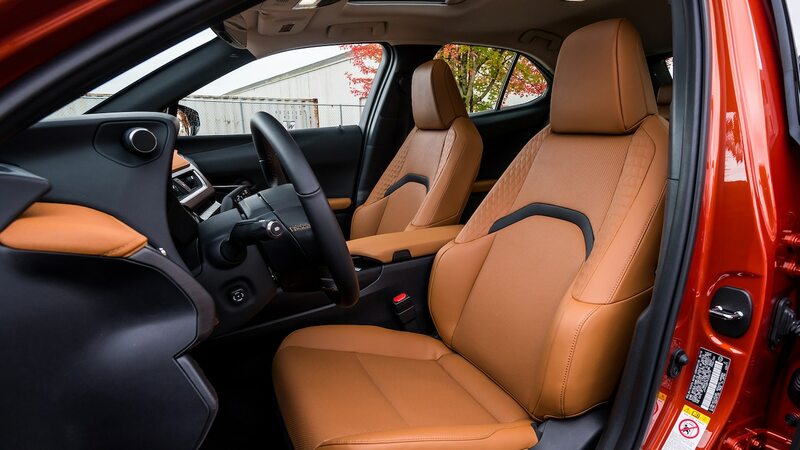 The base and Luxury trims offer saddle brown and black for a more mature look. 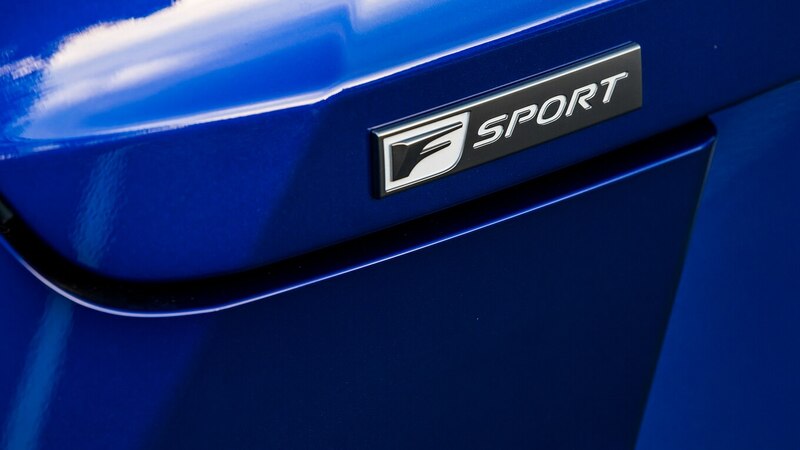 Want something you can’t find on many vehicles? 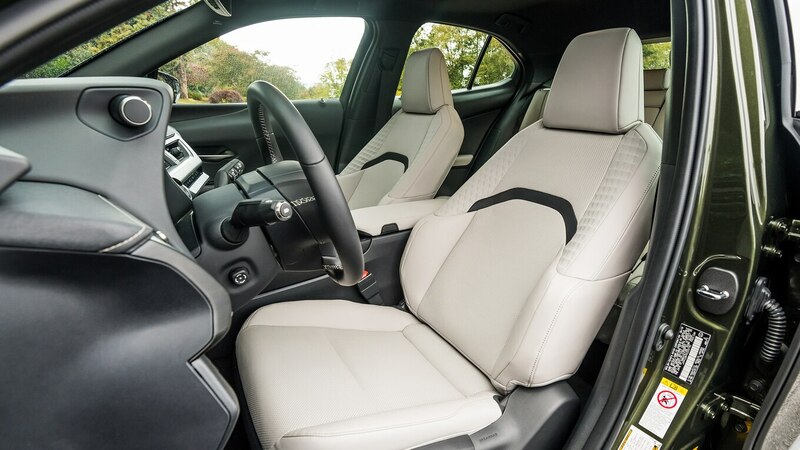 Opt for the white and blue theme, quite possibly the most unique of all available interior choices for the UX. 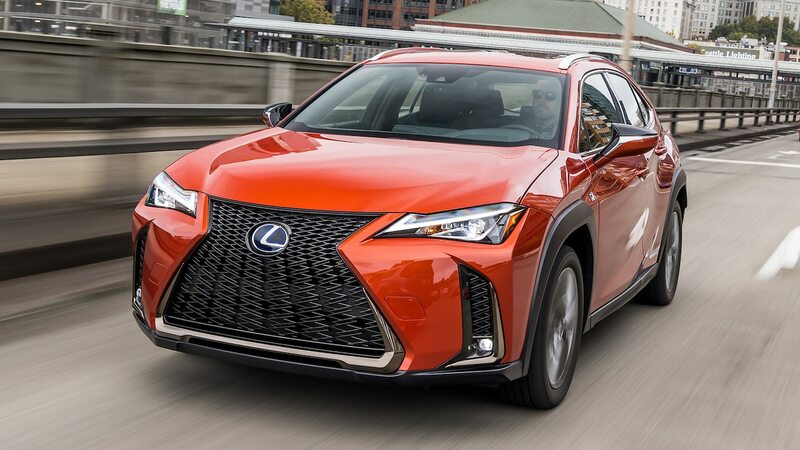 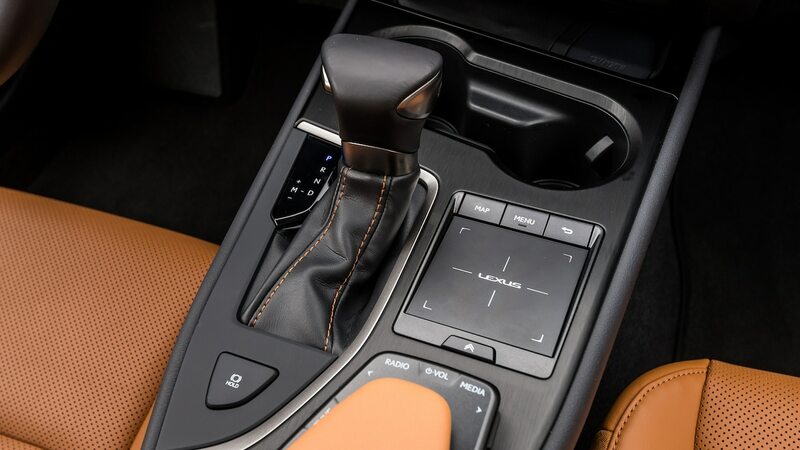 Just because you can’t get the 2019 Lexus UX with real cowhides (at least in the North American market) doesn’t mean the designers skimped on the details. 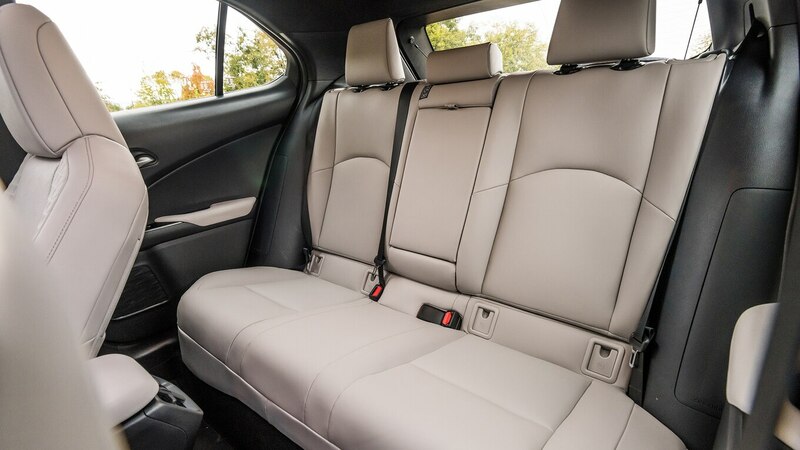 The upper part of the front seat bolsters feature houndstooth-like patterns on the base and Luxury trims. 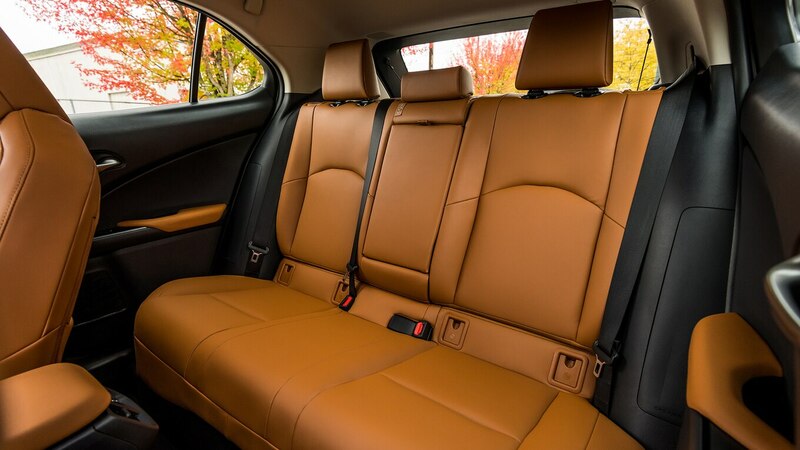 On F Sport models, the available red leather interior features an attractive black stripe down the middle of the seat. Contrast stitching on the F Sport and Luxury grades creates visual layers on the dash and breaks up the monotony of the all-black interior. 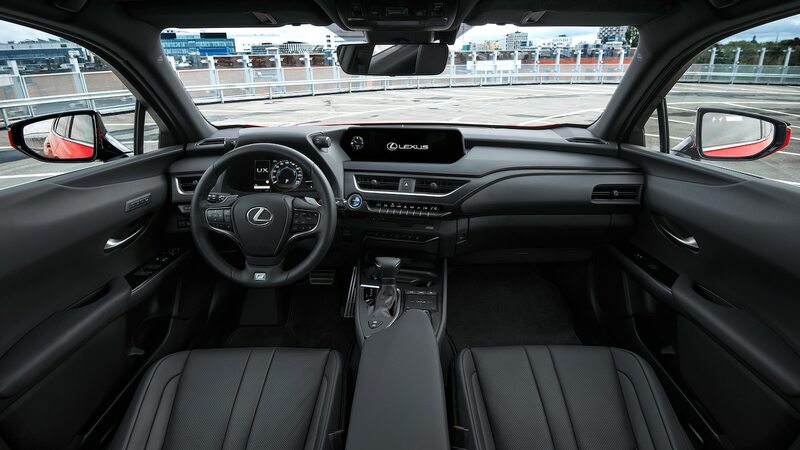 Lexus looked to its homeland for insight in creating a unique interior trim for the UX. 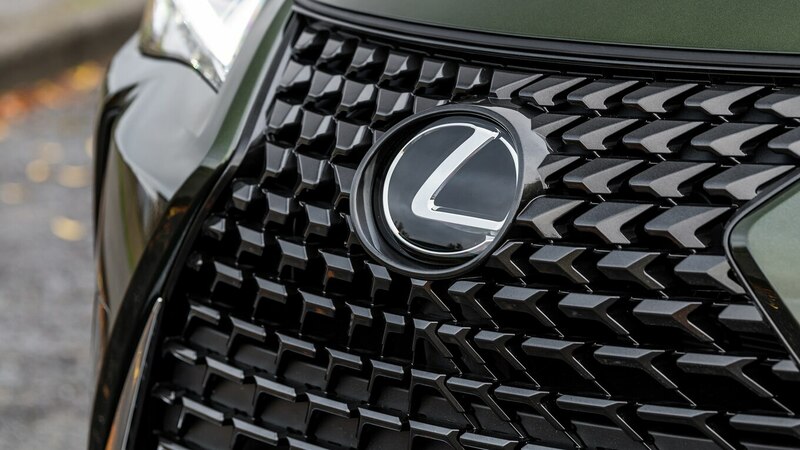 The end result is the textured washi trim, which draws inspiration from paper used to build doors for traditional Japanese houses. 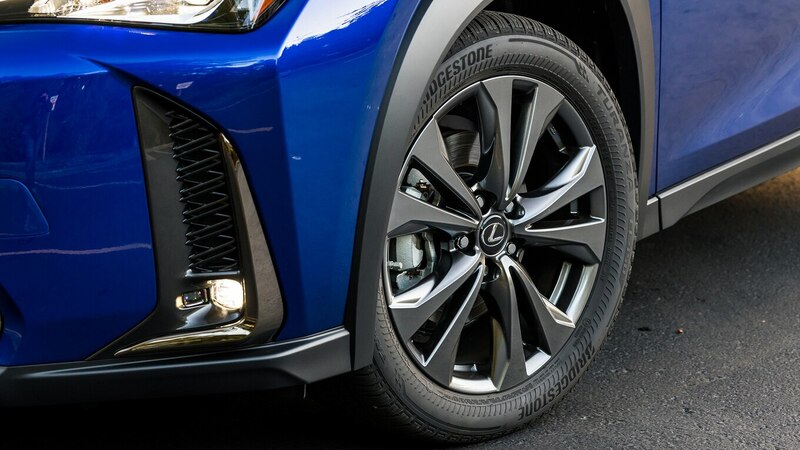 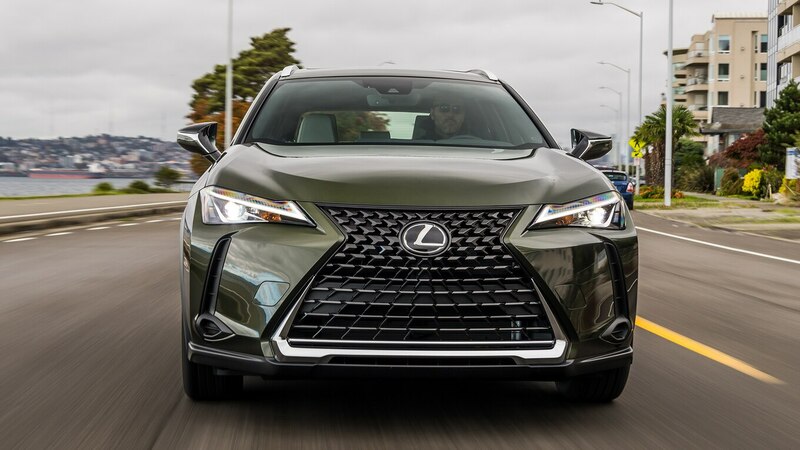 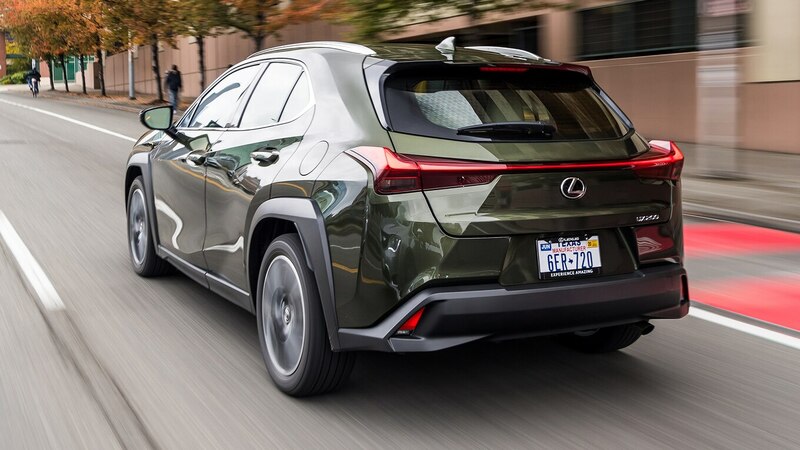 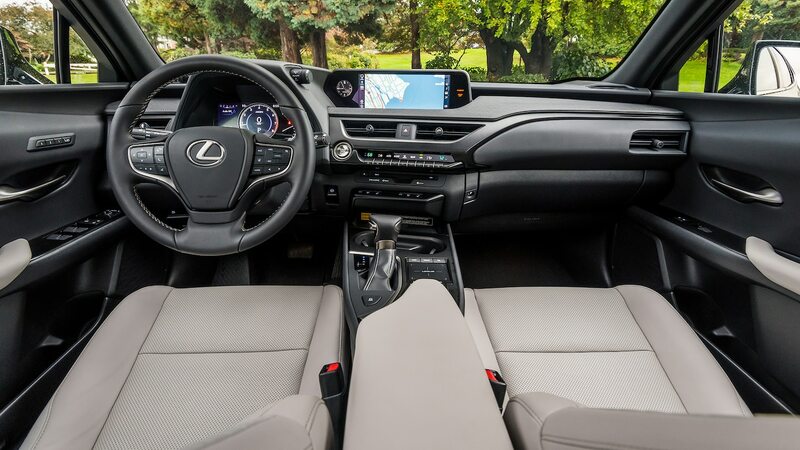 Don’t let the 2019 Lexus UX’s exterior dimensions fool you; once you get inside, you’ll immediately notice how cozy it is, even in the front seats. 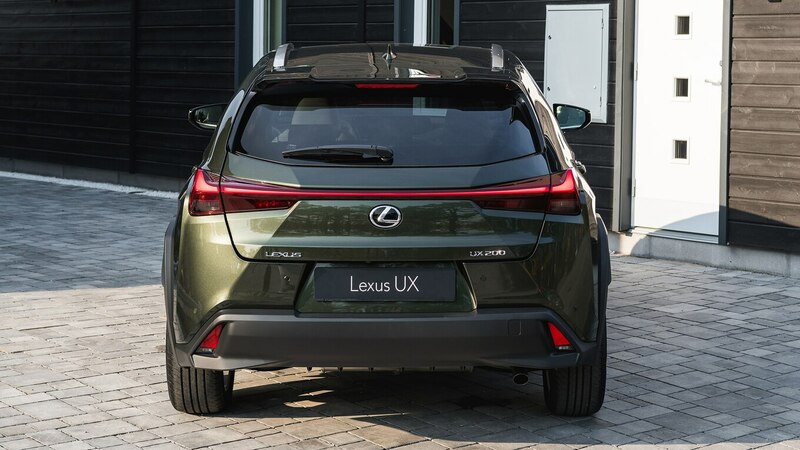 Cargo space takes a hit, too, because of the UX’s exterior design. 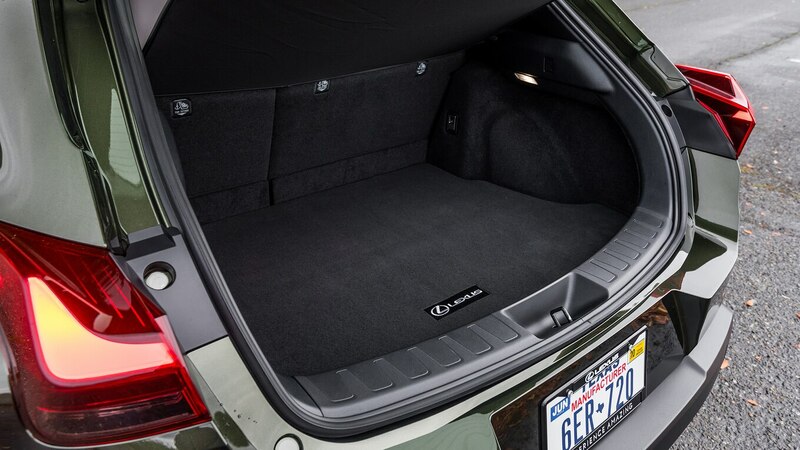 The rear window cuts into the interior, preventing you from stacking your bags and gear. 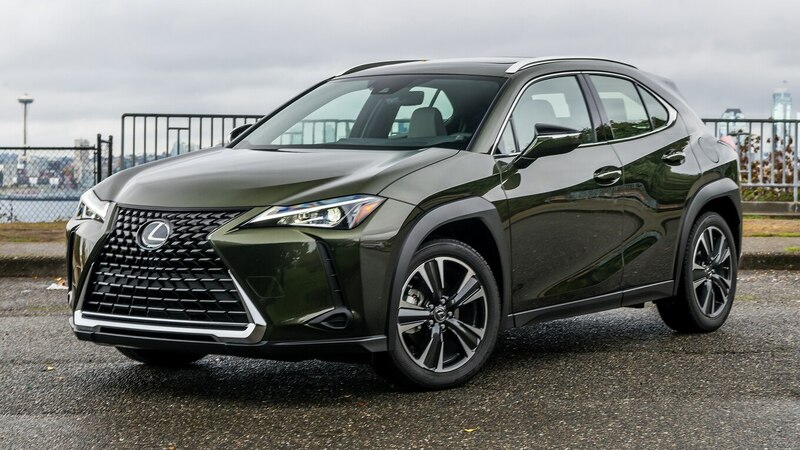 A generous helping of sound deadening keeps the 2019 Lexus UX quiet. 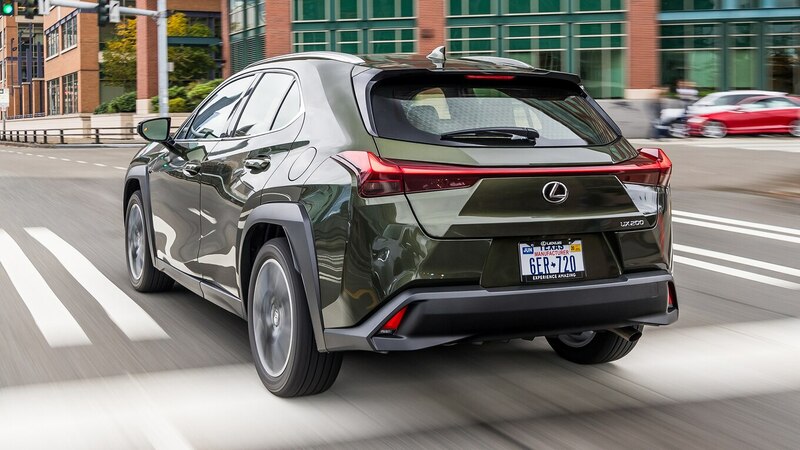 Underbody panels, extensive use sound-absorbing materials, and the fins on the taillights contribute to keeping the cabin hushed and isolated from the outside world. 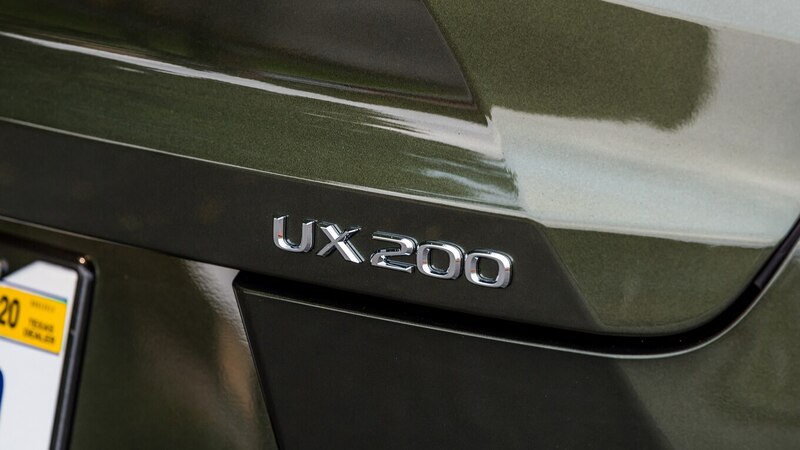 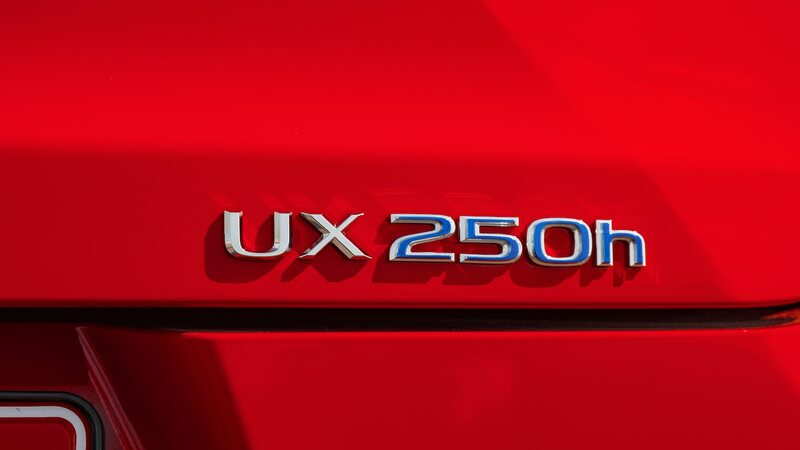 Opt for the UX 250h if you’re after the most serene driving experience. 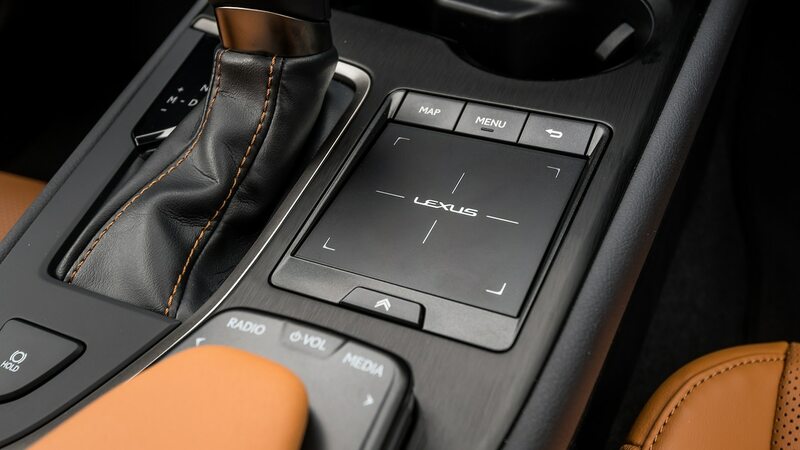 Lexus Remote Touch returns with smartphone integration, an optional 10.3-inch screen, and an expanded app suite. 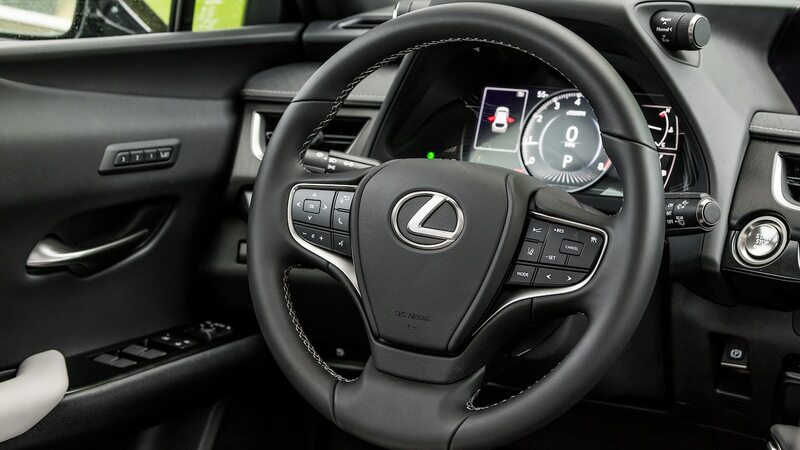 Like a laptop, the interface features a touchpad that does everything from changing the climate controls to using Apple CarPlay. 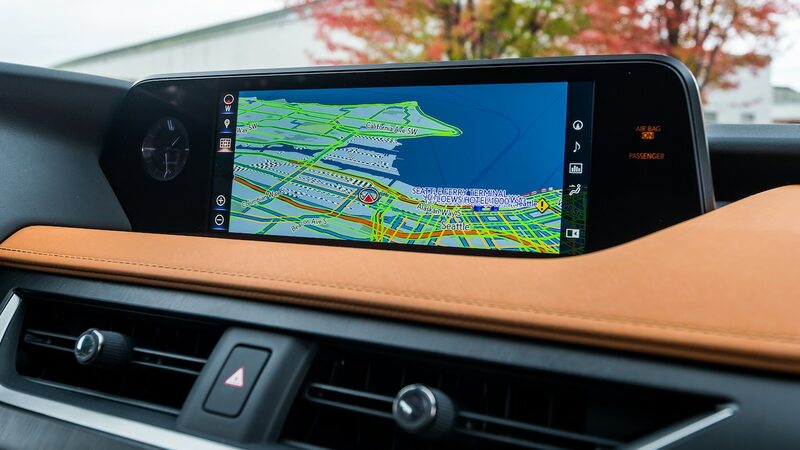 Unfortunately, the system remains as distracting (and infuriating) to use as ever.